While Camp Lebanon continues to endure one of the colder winters that has hit the New Jersey area things are heating up for the 2018 Summer camping season. After almost 15 years of complex and lengthy probate procedures, construction plans and permit applications going through the excruciatingly slow and ponderous - oftentimes frustrating - process of dealing with the vagaries of Township and County politics, the Harker Legacy fund has now arrived at the construction phase! 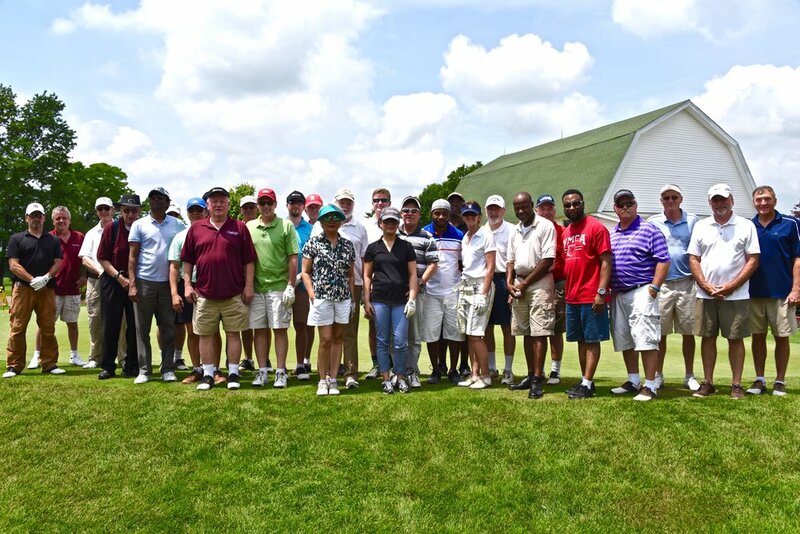 2017 ABCNJ Camp Lebanon Golf Classic A Success! The morning of Saturday, June 3, 2017 started with light but steady rain, threatening to derail the tournament at Gambler Ridge Golf Course in Cream Ridge, NJ. By 11 AM, however, the rain had stopped and the clouds slowly cleared away to let the sunshine through. By the time the scheduled 12:30 shotgun start for our friendly competition arrived, the weather was fabulous. Almost no wind, low humidity, and comfortable sunshine throughout the duration! Camp Lebanon has been in my life for a long time. My mother attended camp when it first opened and her experiences at Lebanon led her to become an active member of her church – Grace Baptist Church in Trenton, NJ. Later, she married and became a member of First Park Baptist Church in Plainfield, NJ. Which is the church in which I grew up. This past Friday evening ten folks gathered around the newly delivered 2017 summer camp brochures. With a prayer of blessing for the names on the brochures (and some food) the ten brave souls dove into tabbing and labeling the brochures for a mass mailing! Each brochure required three tabs and a label After four hours of mind numbing work we decided to call it an evening. However, we were able to accomplish about 85% of the work required. This morning, Monday, December 5, 2016 the finishing touches were completed to almost 7, 000 brochures that will be delivered to the Flemington, NJ post office tomorrow! Even though this is a bulk mailing most everyone will receive their 2017 brochure before Christmas...hopefully this year's Christmas! My thanks to each and every person that put time in to make this mailing a reality. The summer of 2016 saw 20 more campers than 2015! More campers gives us more opportunities to make new disciples and we will always be grateful for that. This summer we used the theme of Jesus 1 to 1. Our Bible studies centered on how Jesus interacted with individuals in the Bible. We also shared the "Good News" that He desires to have a one on relationship with each and every camper, staffer and volunteer. For the past couple of years we have been trying to add new games and activities for our campers to explore and learn. Last summer we added the "Human Foosball" pit and this year we added a "Ga-Ga" pit. Both of these additions have brought much enjoyment and entertainment to all who played or watched. We also saw our Adrenaline Sports camp session try out some borrowed "battle balls'. I don't remember a time when I laughed as hard as when I watched the campers bouncing off of each other while trying to knock down the larger staff. During our orientation, with the summer staff, I always share that there are about 50 - 60 decisions for Christ each year. Some are first time commitments others are re-dedications and some are to pursue a career as a pastor or missionary. I always share that there are silent decisions made that we never know of. One of my staffers spoke up and shared that he prayed in his bunk at night that Jesus would come into his heart! He also shared that he became a staffer to help other campers feel the love of Jesus as shared through a loving and caring staff! Camp Lebanon is still in the business of changing lives one camper at a time. The 2016 camp season is approaching fast! Every year we have to recruit a new team comprised of summer staff and volunteers. The summer staff consists of about 25 folks from the age of 16 years and up. While the counseling crew has a minimum age of 18, all other crews can be as young as 16. Our summer staff needs to commit to working from June 19th to August 6th. The team works together, plays together, worships together and even celebrates Christmas together! Camp could never function without a good support group of volunteers! Every year it gets harder and harder to find men and women who will give a week of their time to counsel a group of girls or boys. It can be tough work, yet when the week is over a lifetime of memories for campers and counselors alike! I cannot truly express how gratifying it will be when you know that you have changed a life forever! Every year I have the privilege to see new Christians born into the Kingdom because someone took the time to be a counselor! Several years ago I overheard two volunteers speaking to each other as they were in the swimming pool sharing how hard it was to serve the Lord! Of course they were laughing and having a great time of being volunteers. Whether you come as summer staff or a weekly volunteer, I assure you that you will make a difference and you will find it very rewarding as you help to change lives. I believe you will find that the campers are not the only ones whose lives are changing! So make plans to come be a part of this wonderful ministry and join our team. I would also ask you to share our needs with your church, your family and your friends. Help me to recruit the best summer staffing ever. For more information, send a message by using the form below. On Sunday, November 15th, I traveled to Allentown to join the congregation of First Baptist in celebrating the baptismal ceremony of a mother of one of our past campers named Jeremy. Following his first year at Lebanon he returned home from camp having given his heart to Jesus Christ and told his mother that he needed to find a home church. They visited churches and eventually ended up calling First Baptist of Allentown "home." About a year ago Rev. Leslie Martin baptized Jeremy! Rev. Martin has credited Jeremy's enthusiasm for Jesus as the reason that Jeremy's family now attends church regularly and for his mother seeking baptism. I was blessed to be a witness to the power of God in the life of a young man that gave his heart to Jesus at Camp Lebanon. A baptismal ceremony is always a wonderful celebration of the new life that we find in Jesus Christ, and that event on it's own would have made my day wonderful. But there was more! Later that evening I read an email from Jennifer, who attends First Baptist of Woodstown. She shared with me her story of three young ladies, two being Jennifer's own daughters, who were baptized during worship that very morning. Each candidate wrote out a testimony for their parents to read as they prepared to enter the baptismal waters. All three girls wrote that it was their time at Camp Lebanon which opened their hearts and led them to the baptismal pool! Jennifer shared that all three girls have been raised in the Woodstown Sunday School system, have attended youth group and church services for years and yet give testimony to the week that they spent at Camp Lebanon as being their Spiritual turning point. I thank God for the calling He placed on my heart for the ministry of Camp Lebanon. I know that this ministry changes lives, I see it all of the time. Yet, I know this ministry is only as powerful as those that support it allow it to be. I ask you to continue to support this powerful ministry with your prayers, with you finances, with you trust and with your presence. Let us work together to keep all of our baptismal pools filled and ready. 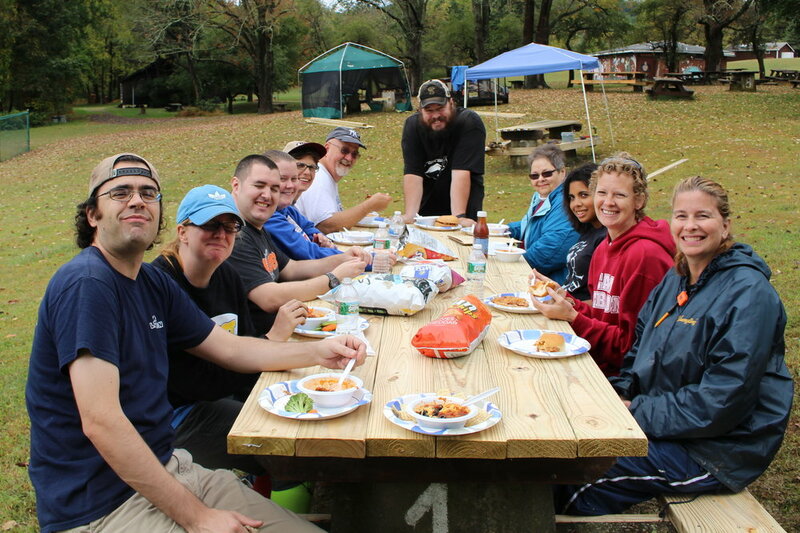 On October 10, 2015, Camp Lebanon will be celebrating 65 years of camping ministry. To celebrate this momentous occasion we are inviting our whole Lebanon family to join us that day at the Olde Mill Inn in Basking Ridge, NJ. A short program and plenty of time to share memories, photos and favorite camp t-shirts will start at noon and end at 4 PM. Folks will be able to choose from their meal selection at the Olde Mill Inn. Camp Lebanon will have over 1,000 photos to share with attendees, thanks to a lot of hard work of everyone who has worked so hard to scan old photographs and slides. We'd love for our Lebanon family to add to our collection, why not bring your own to share? The cost of the celebration is $65.00 a person, and deadline for reservations is October 1, 2015. Contact Smitty by using the form below or calling 908-236-2638. Additionally, you may contact us through our [button color="green" link="https://www.facebook.com/baptistcamplebanon?fref=ts" size="default" target="_self" block="false"]Facebook Page[/button]. All proceeds from the luncheon will be donated to the Cedars of Lebanon campaign. Junior 1 Camp 2015 Saw 23 young campers give their hearts to Jesus, many for the very first time! With a summer theme of Celebrate I think it is truly time to celebrate the work of the Holy Spirit upon these young hearts and lives. It is a humbling thought that all of the hard work that goes into a summer camping season is just a small part compared new Christians joining the ranks of all who have gone before them. It is also just a start for the summer of 2015! If God is willing, many more lives will be changed as we seek to share Jesus Christ with all of the young folks that are shared with us throughout the summer camping season. Come let us CELEBRATE! In Ecclesiastes we read that there is a "time for everything under the sun"! Today's picture shows that it really is a "Time To Grow". A time to grow can almost certainly be a theme for the ministry of Camp Lebanon. Camp has always prepared the buildings and grounds, placed in our care, to make space for renewals and growth through the power of the Gospel of Jesus Christ. For sixtyfive years we have tilled the soil so that seeds may be planted. We have planted the "organic" seeds as well as the seeds of the Spirit of Christ. We have been allowed to see much of the growth that our Spiritual seeds have produced as well as the organic seeds. Today, seeing these daffodils in full bloom, reminds me that our summer camping season is but a short time away. My prayer is that the soil will once again be fertile so that the Spiritual seeds may take root and produce a beautiful crop once again! My prayer is that even now God might be whispering in your ear to "Come and See" what Camp Lebanon is all about. Why not come and grow with us as we share the good news of Jesus Christ and see if it might be your time to grow along side of us. Together we will most certainly make a very wonderful picture that God will be pleased with. For the last couple of years several of the leadership folks who are part of Lebanon's two Sailing Camp Sessions have taken to doing projects when they weren't busy leading campers. This year they chose to both fund and undertake the task of repairing some of the permanent picnic tables in Lebanon's picnic area. After repairing a few of the tables, they decided that they wanted to do repair more tables than they had budgeted for. The Sailing Camp leaders began to send several emails to the Sailing Camp team and the CCR Committee. The messages gauged their interest in the project. 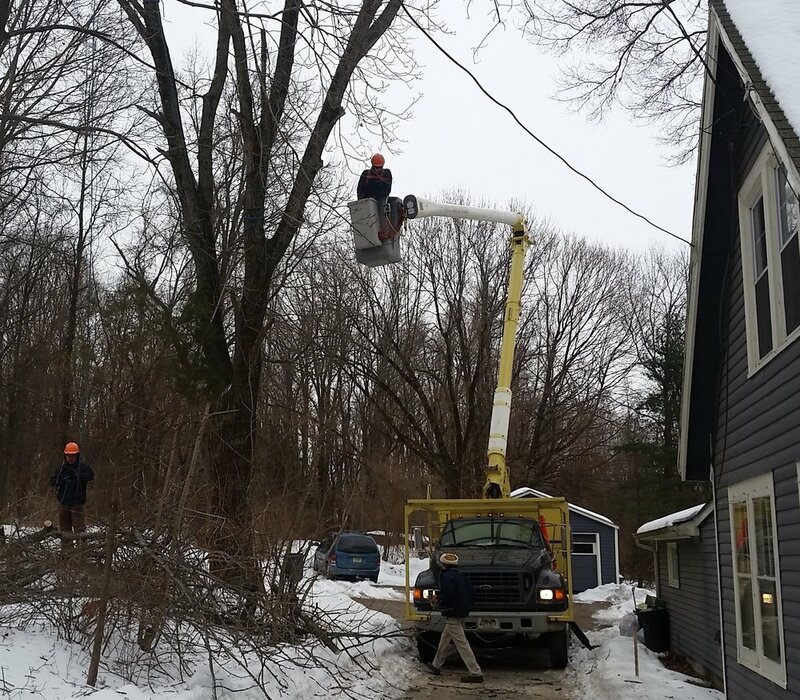 The response was terrific – donations were collected, a date was selected for a crew to come work, and food was prepared to feed hungry workers. I even sneaked in a short business meeting into the agenda for their day! As you can see in the photo the day was not all sunshine and roses. Work began in the rain! Tents were set up over the work areas and used until the rain moved out. Chili, pulled pork sandwiches, chips, fruit and much more made up lunch for the entire group. The workers were able to sit at the first table completed for the day and after the meal, perhaps the shortest CCR meeting ever was held. three tables were completely renovated, with six more having at least the benches replaced. As you can see in the photo the day was not all sunshine and roses. Work began in the rain! Tents were set up over the work areas and used until the rain moved out. Chili, pulled pork sandwiches, chips, fruit made up lunch for the entire group. The workers were able to sit at the first table they completed, a great reward for all their hard work. After the meal we held what may go down as the shortest CCR meeting in history. By the end of the day three tables were completely renovated, and six more had had at least the benches replaced. Camp Lebanon's CCR Committee has always been filled with folks that care for the ministry and share their gifts and talents continually. Many thanks go out to the entire Committee for their continued support and care of Camp Lebanon.